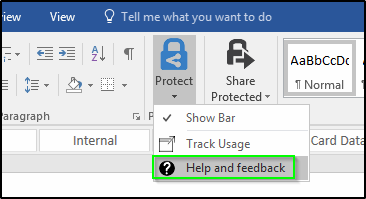 Ok, I admit it, I made the dialog box myself, but the message text is real. And I have no idea what it means. So, how can I find out what “Le contenu a été bloqué, car il utilise un protocole de chiffrement non sécurisé.” really means? 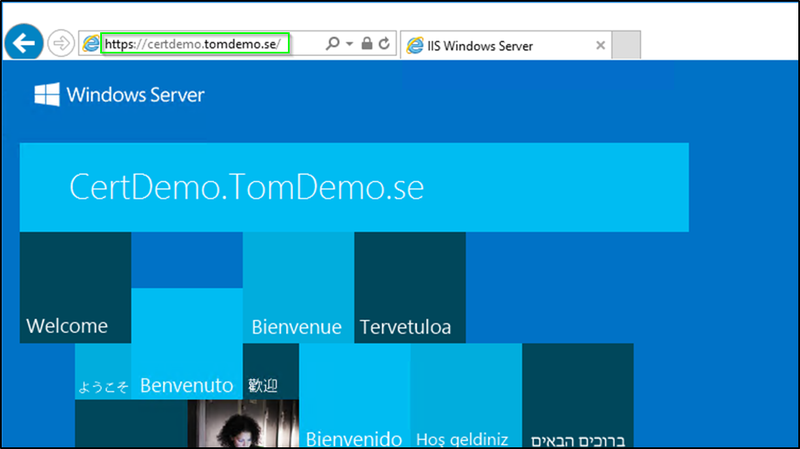 Preferably with the exact wording of the corresponding English message in Windows. As in most cases, Google is usually your friend. There are also many online translation services, but since a word can have multiple meanings they might alter the wording, and that can make further troubleshooting Googling harder. 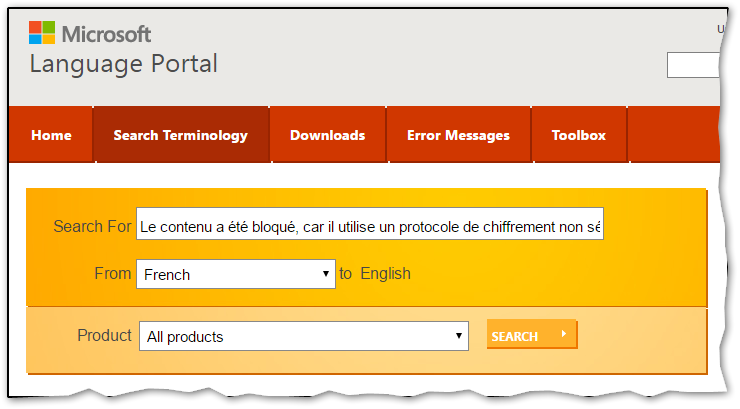 But did you know that Microsoft has a Language Portal, where you can search and translate Microsoft official terminology? 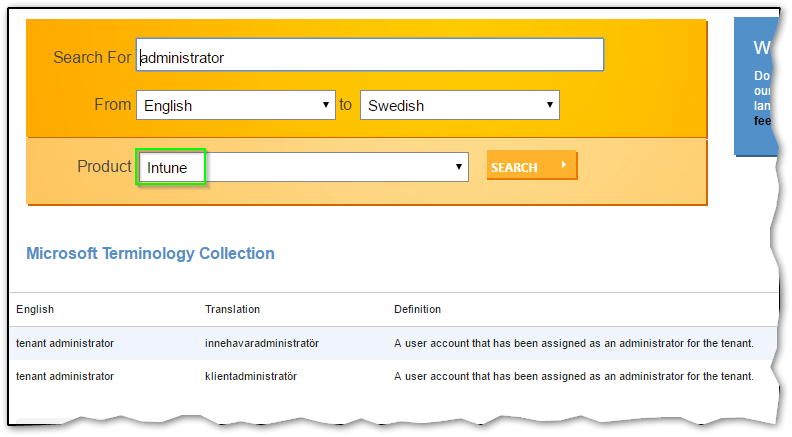 You can also search translations from English to other languages. The list contains a whopping 115 languages! Did you for instance know that the word administrator is called alábòójútó in the language Yoruba and umlawuli in the language ixiXhosa? 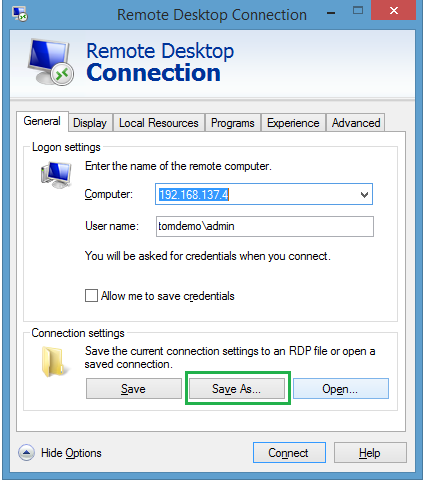 I hope this tip will help others that sometimes also has to troubleshoot Windows machines with foreign languages configures. 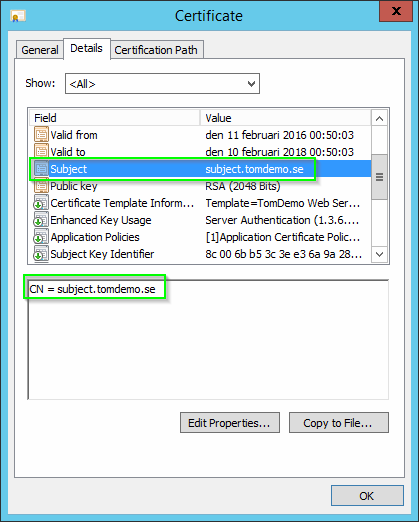 An SSL certificate can also contain an optional field called Subject Alternative Names, or – as it is more often called – a SAN field. 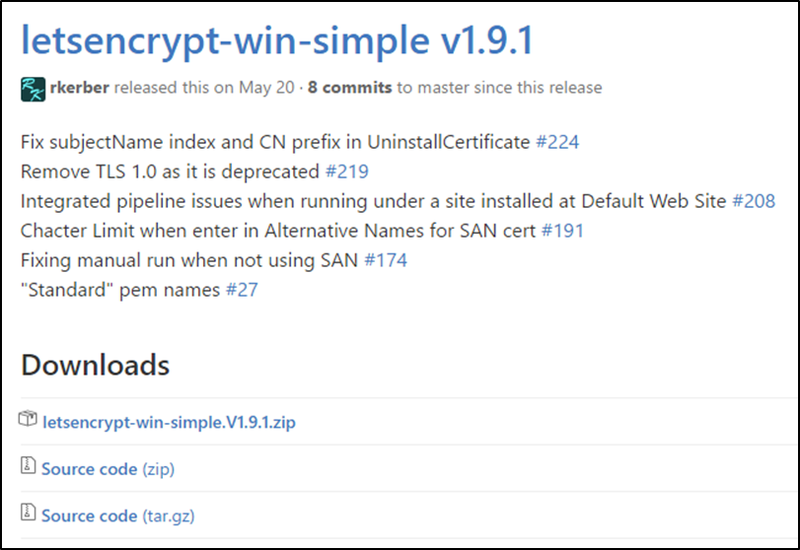 The SAN field contains one or multiple domain names that the certificate is valid for. Note that in this example I only have one single SAN name. 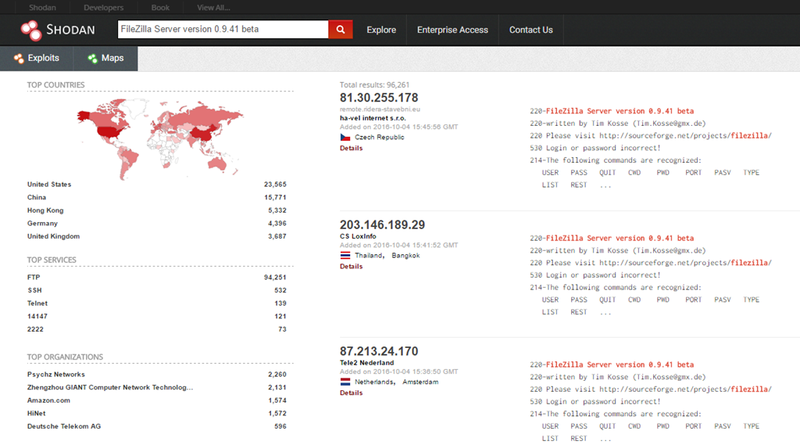 You can have many domain names in the SAN field of a certificate. 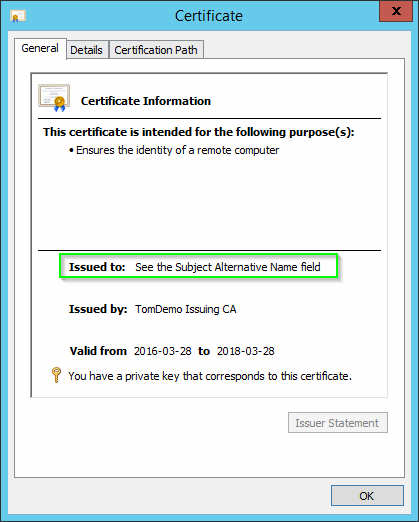 A common misconception around this is that a certificate with both Subject and SAN is valid for all domain names that are present in both of these fields. But if an SSL certificate has a SAN field, then SSL clients are in fact supposed to ignore the Subject field and look only in the SAN field for a domain name match. In other words: If SAN exists, use only that. If no SAN exists, use Subject. 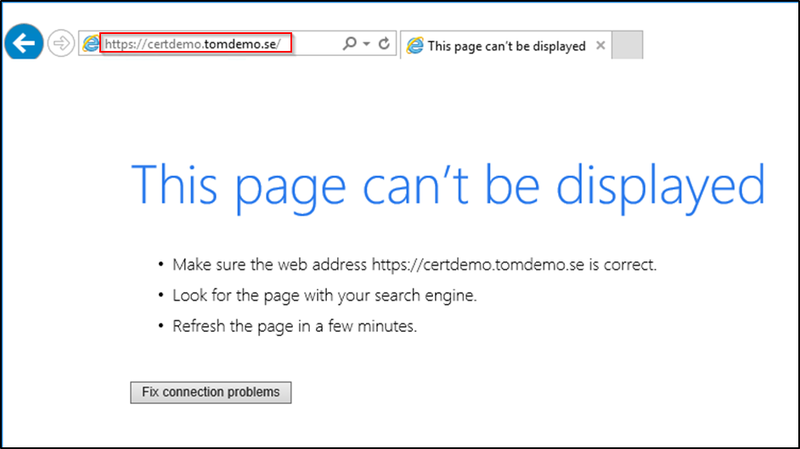 To see this behavior in action, see my short video below [52 sec], in which I use the certificate from the screenshots above on two different websites: san.tomdemo.se and subject.tomdemo.se. Can you predict what will happen? 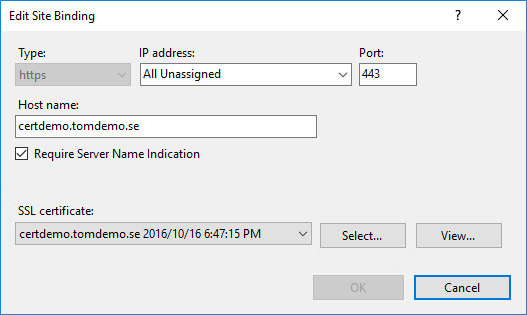 Since the Subject field is not used when using SAN, it can be set to anything, it could in fact be empty. 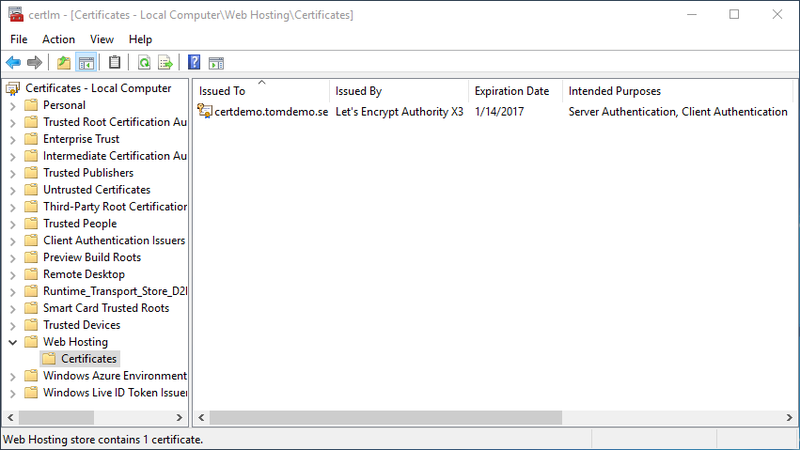 This blog post will guide you through the steps of obtaining a publicly trusted SSL certificate with up to 5 domain names, at no cost. There are no hidden costs, ads or referrals involved. You do need to be able to verify that you own the domain name that the certificate will be issued for. 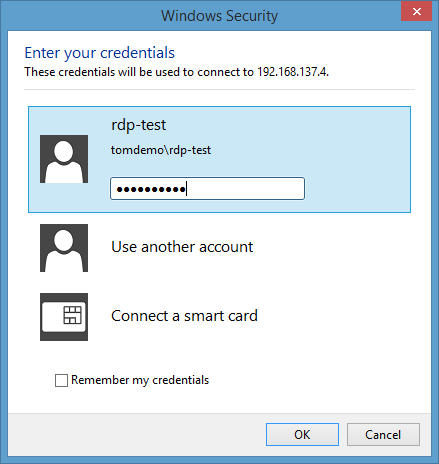 You can do this by either receiving a verification code via email (sent to specific administrative email addresses of the domain) or the ability to publish a text file with a verification code on a webserver running on that domain. 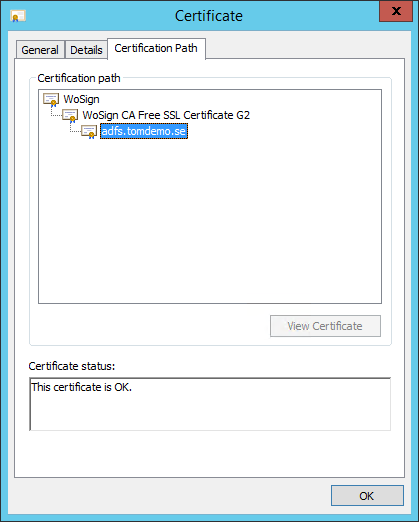 I am using the Chinese certificate provider WoSign. Before you stop reading just because of this, consider that their ONLY involvement in this is procedure to sign your public key. They never see your sensitive private key, which is created on your computer and never leaves your control at any time. 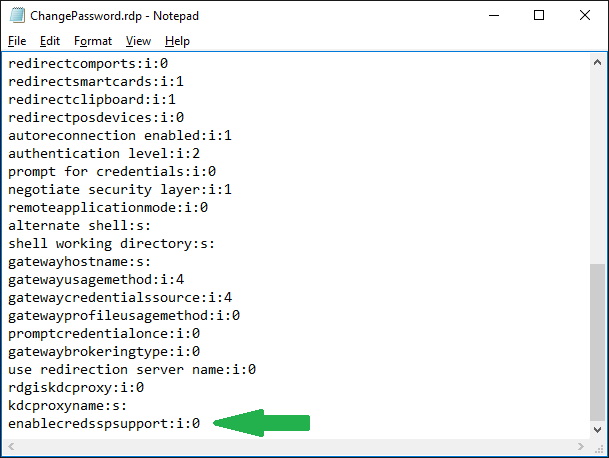 Didn’t you know that your Windows computer most likely already trusts WoSign Root CA? 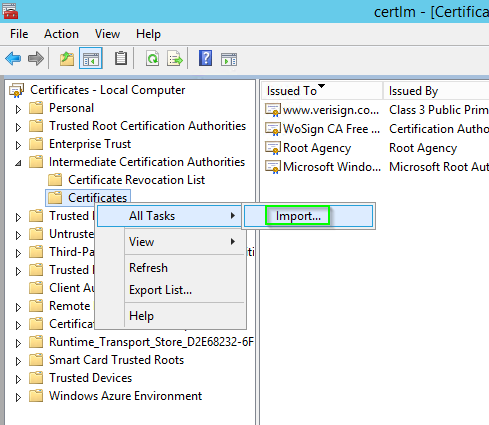 Read my short blogpost Which Root CAs do you really trust? 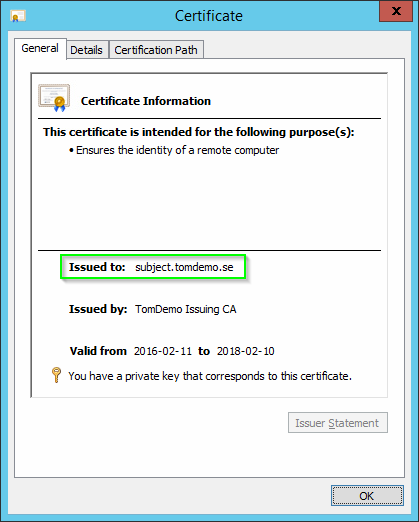 If you want to verify that your client really trusts certificates obtained using this guide, please visit this link: https://test.tomdemo.se You should not receive any certificate warnings. If you do, please let me know what browser/device you are using via the comment section below. 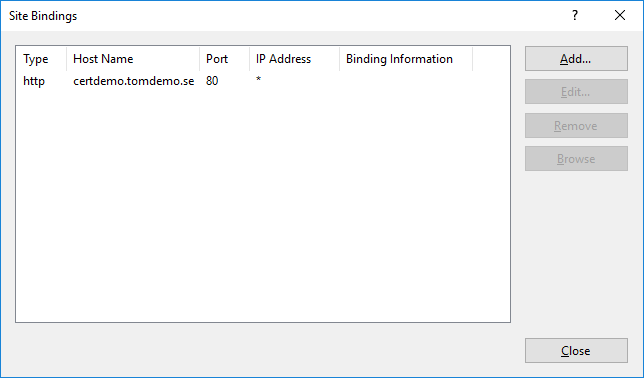 There are other ways to obtain free SSL certificates, such as Let’s Encrypt and StartSSL, but at the moment I prefer WoSign, since they allow you to add 5 SAN attributes for free. 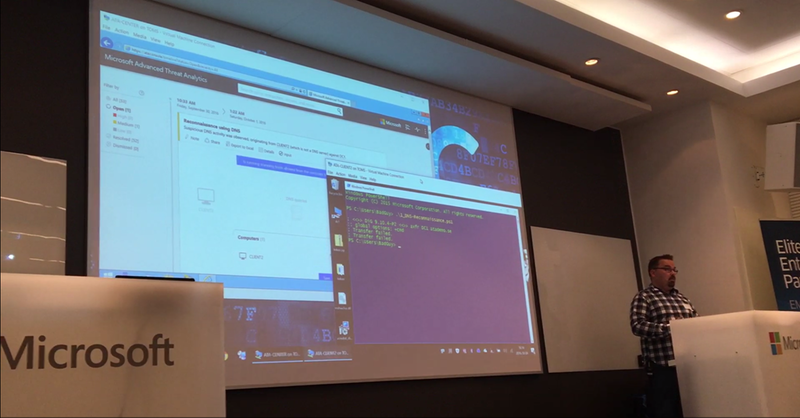 The best option, to reduce the number of steps and also the risk of exposing the private key of the certificate, is to create the key pair directly on the computer that will actually use the certificate. 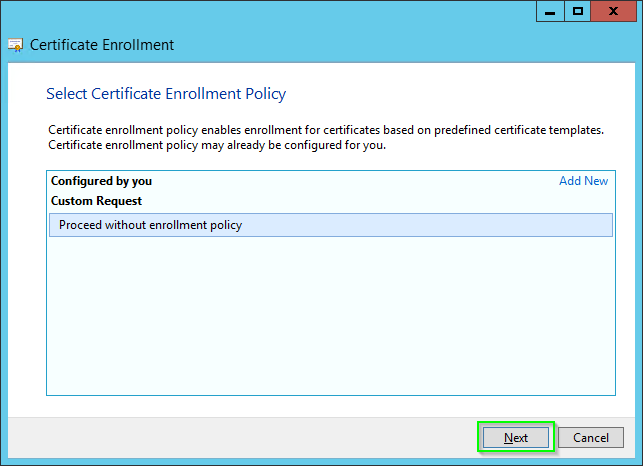 But you can export the certificate and private key when you are done, so you can use any trusted Windows computer for the enrollment process. 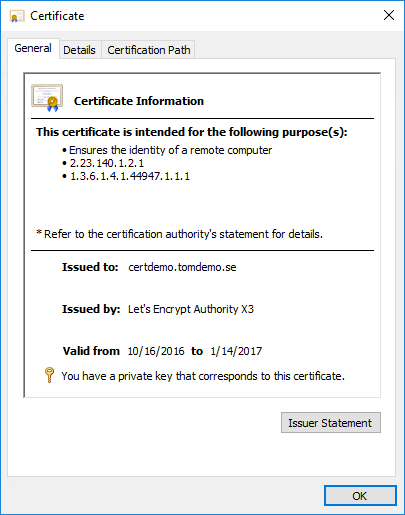 If you plan to use multiple SAN names, it’s likely that you must export the certificate to other computers anyway. 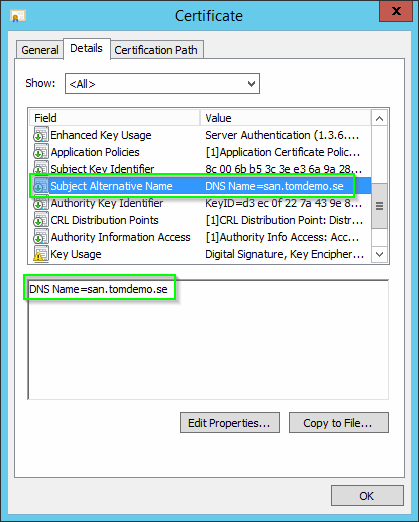 Normally you specify attributes when creating the key pair and the corresponding CSR (certificate signing request), such as Subject, Validity Time, SAN, Key Usage and so on, but WoSign will ignore all attributes in the CSR, and only use the public key. 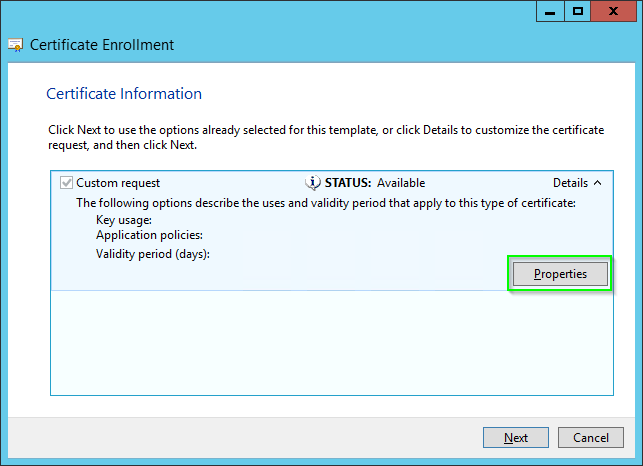 You specify the attributes in the enrollment flow at WoSign instead. 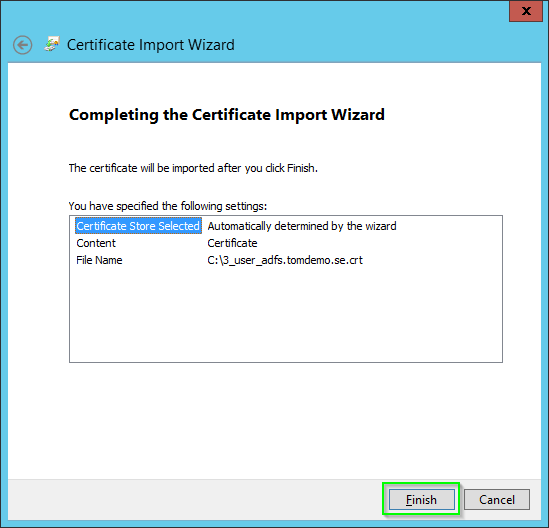 Certificate requests can be created in many ways, in this guide I am using the MMC snap-in. Run certlm.msc to open the local certificate store for the computer. 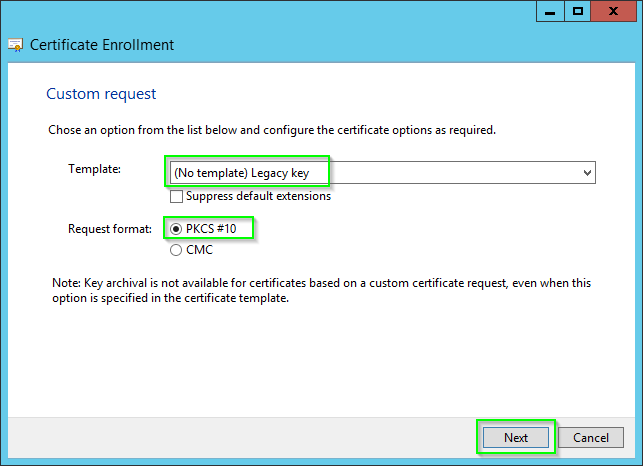 Note: I choose Legacy key for compatibility reasons, you might want to choose CNG key if you are sure that your services are compatible with this. 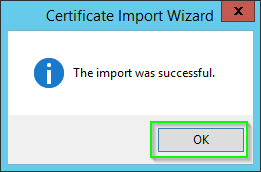 Note: No other certificate information needs to be entered at this point. Now we have created a key pair and a Certificate Signing Request. 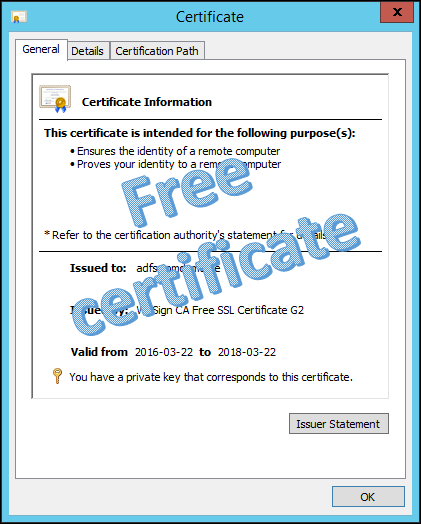 You may add additional domain names and also extend the certificate validity to 3 years, but that means that the certificate will no longer be free, and that is not the topic for this blogpost. 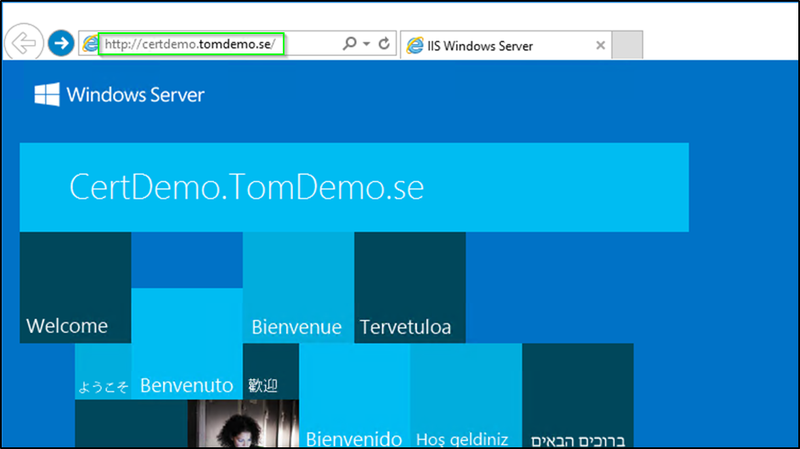 Note that the cost is not updated until you click outside of the Domain name textbox. 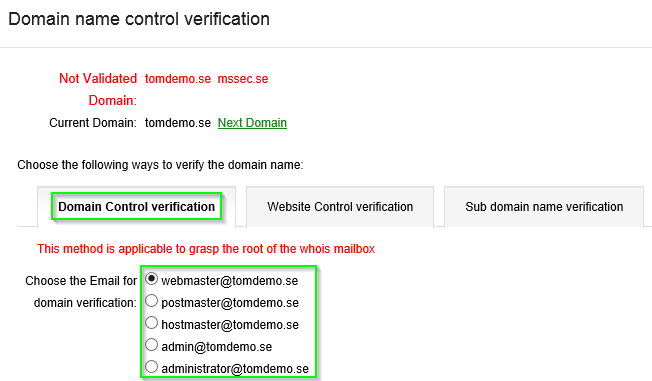 Notice that I added domain names from two different domains, tomdemo.se and mssec.se, just to show how domain verification looks in this scenario. 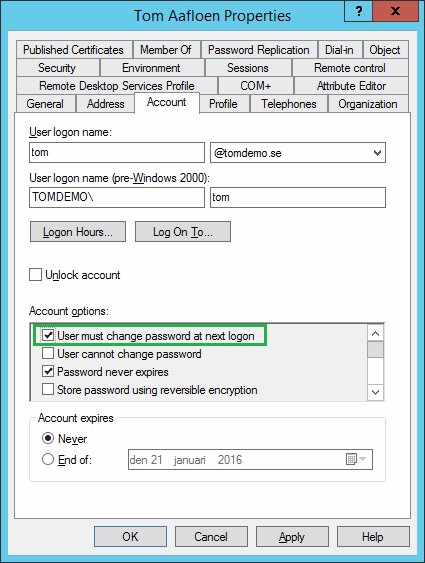 Now you have to either create an account or login with an existing one. 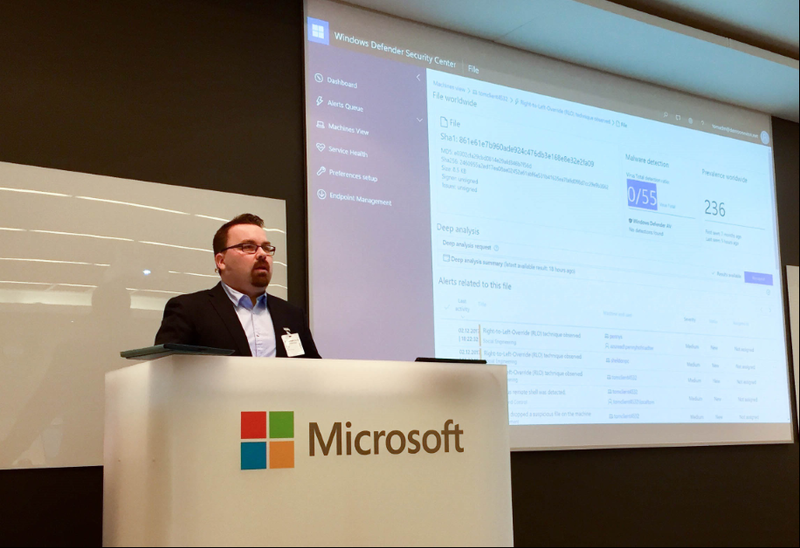 WoSign helps you determine if you created an account with them when you fill in your email address. I use a dedicated email address for this, but I have never received any email from them after enrolling the certificate. Click on the link forget password? 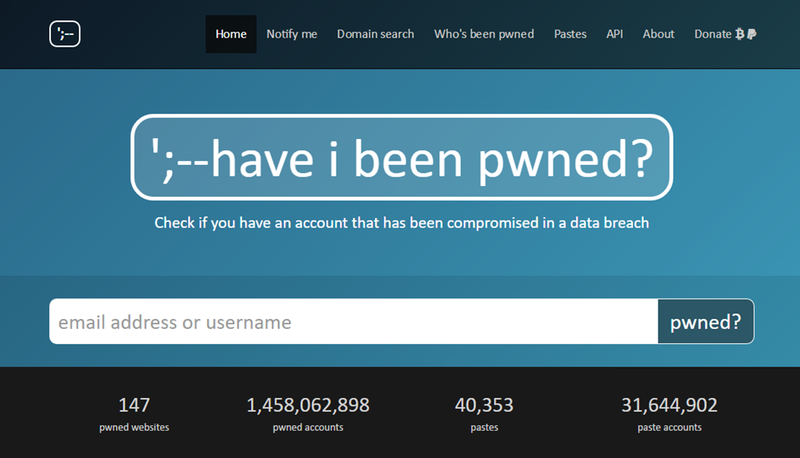 to reset your password (it should be forgot, I know). Note: This will start a 30 second countdown, but don’t panic, the only thing that will happen when the countdown reaches zero is that you will have the option to resent the verification code. The verification email might take a 5-10 minutes to show up in your Inbox, do not request a new verification to fast. 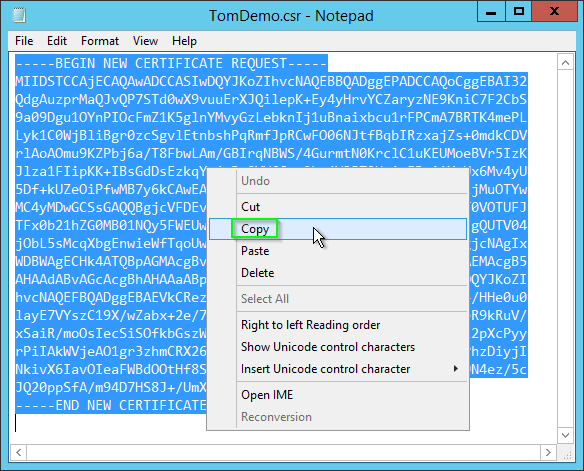 Paste the Verification code in the field Verification code. 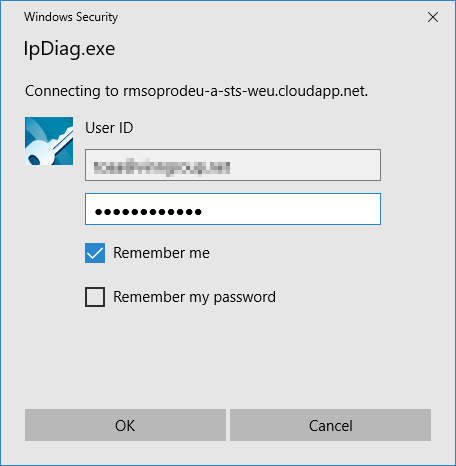 Enter an Account password for your WoSign account. Enter the captcha. If it is hard to make out the characters you may click change it to get a new one (it will not reload the page or remove the other info you have entered). If you see Chinese characters, click on the link called ENGLISH at the top of the webpage. At this point we have created an “order” for a free certificate and supplied the names we want in the certificate, but we have yet to verify that we own the domains and to supply the public key we created earlier. 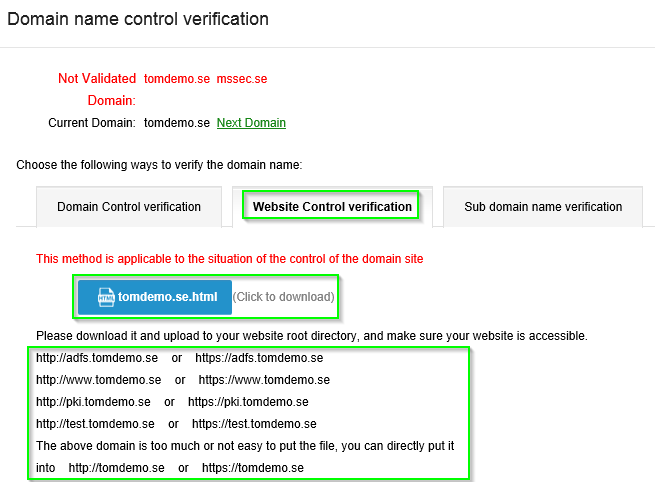 Click on the link Domain Control Verification. I will continue with email verification in this guide. The sender is autovalidation@wosign.com, remember to also check your spam mailbox. 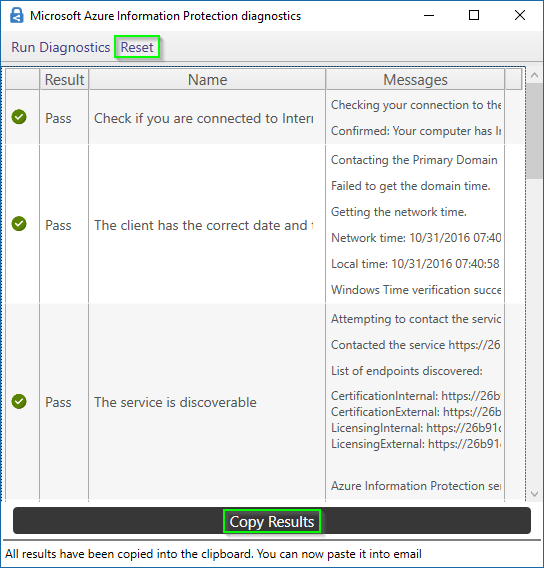 The verification of the next domain looks identical, so I do not show those steps here. 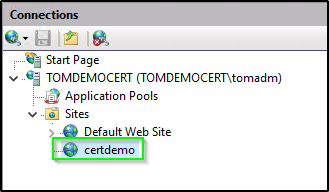 Note that once you verified your domain you can later request new certificates (within the same domain) without the verification step, which makes it much easier. 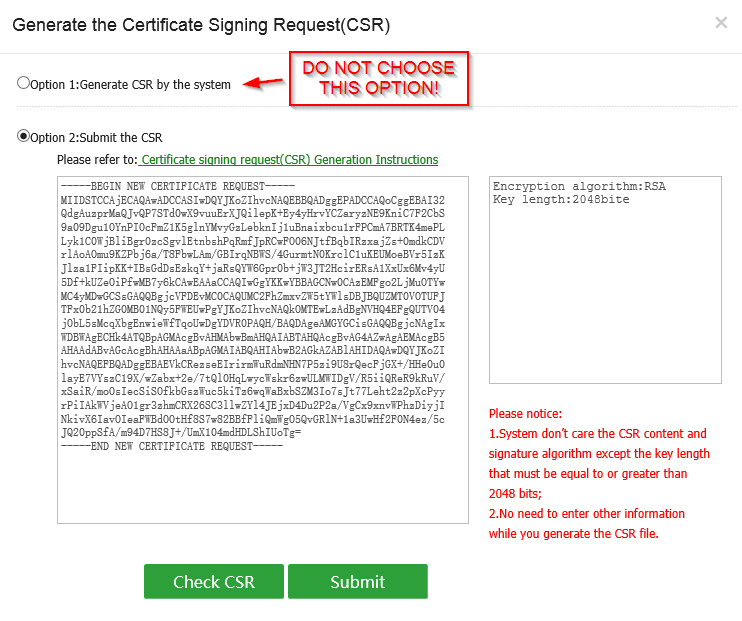 When all domains are verified you are taken to the Generate the Certificate Signing Request(CSR) page. This is a bit misleading, since we do not want the generate the CSR at this point, we want to submit the CSR we have already created. 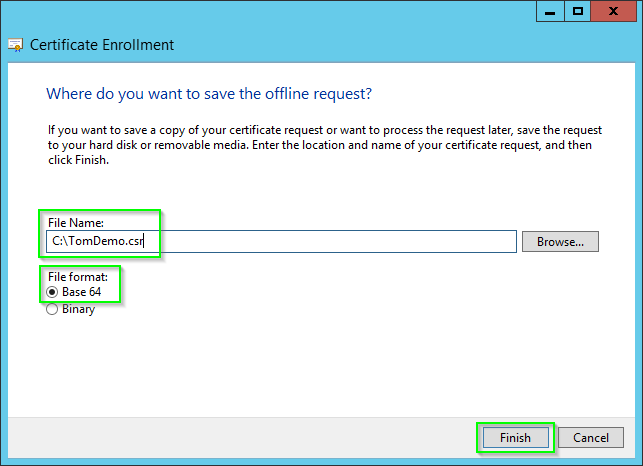 Make sure that Option 2:Submit the CSR is selected. 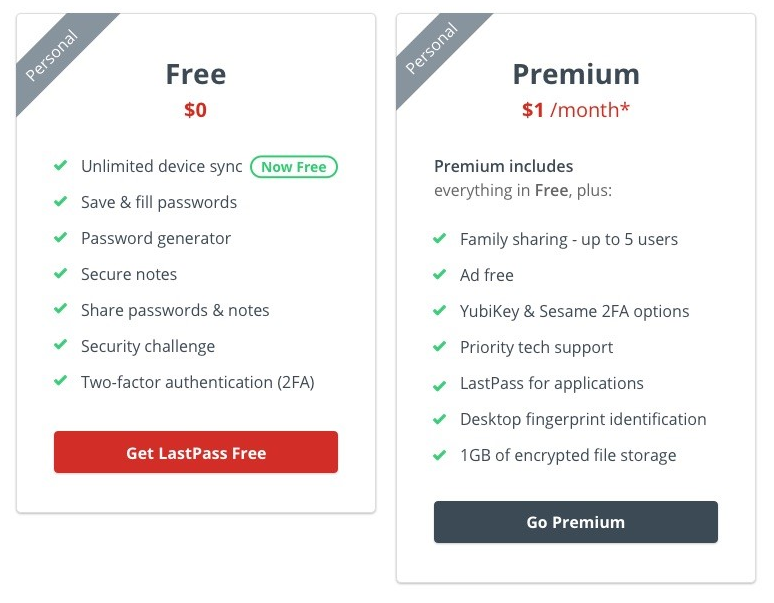 If you choose Option 1, WoSign will create the public and private key for you, and we do not want this. 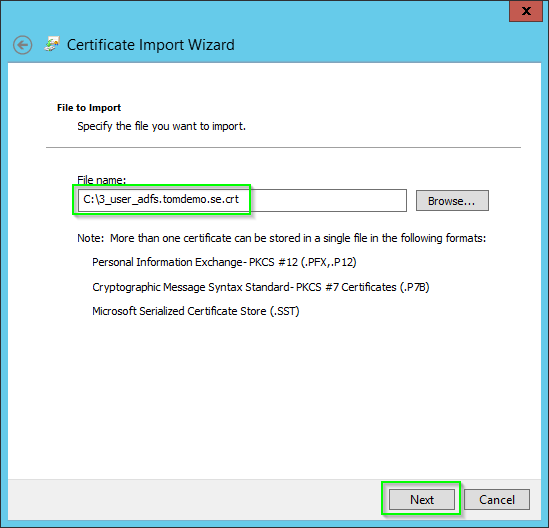 Paste the text content of the csr-file in the textbox that says Please paste Certificate Signing Request. 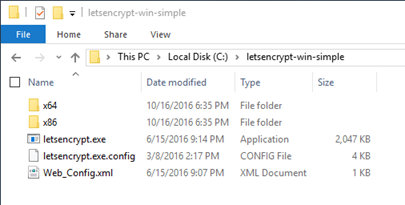 Remember that the file only contains the public key, the sensitive private key is still safely stored on your computer that created the request. Note: You will also get an email saying that the certificate is ready for collection. You can ignore this mail. 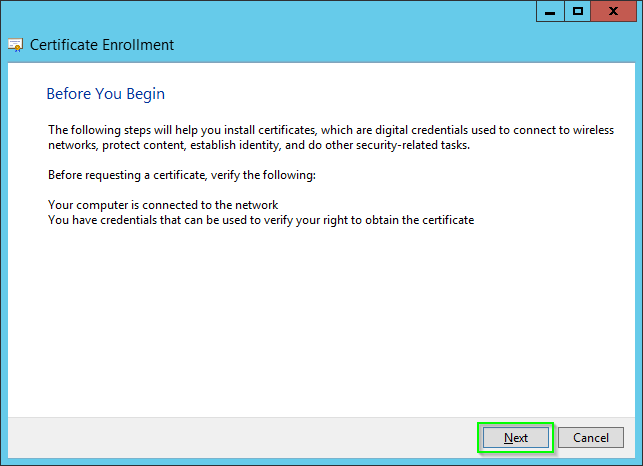 The last step is to import the signed certificate to the server that created the CSR. On the server that created the CSR, run certlm.msc to open the local certificate store for the computer. 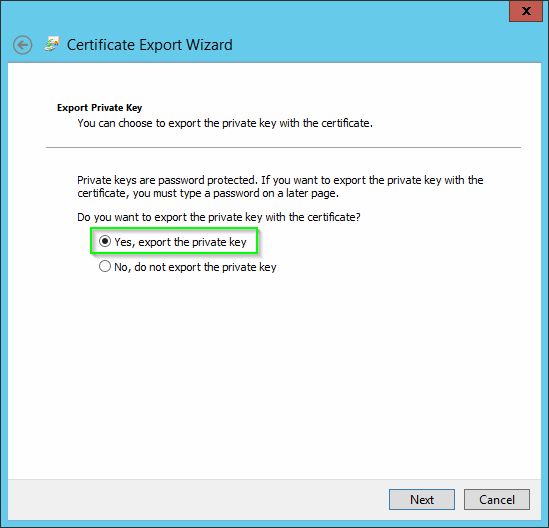 Note: There are other ways to import a certificate, but this way makes sure that the waiting private key and the imported certificate are correctly associated. 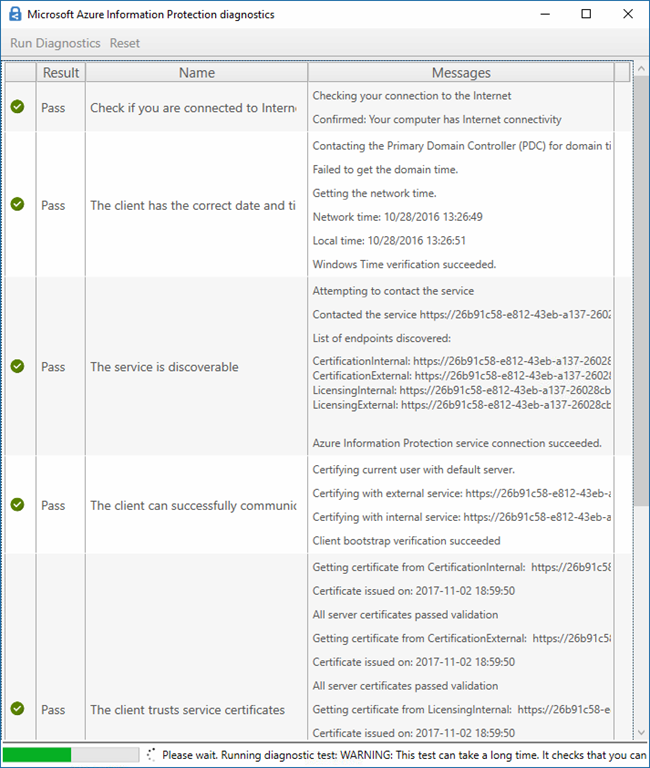 The issue here is that when a client initiates a SSL handshake, IIS gives the client all certificates in the certificate path, not only the server certificate. 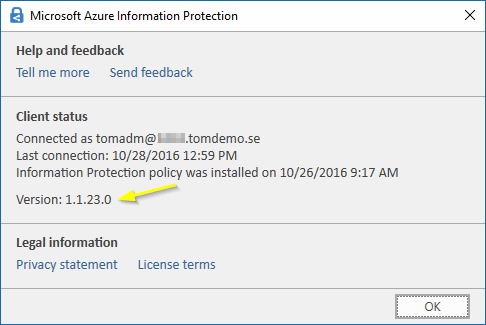 If the Issuing CA is not present in the local store (on the IIS server) it does not sent it to the client. 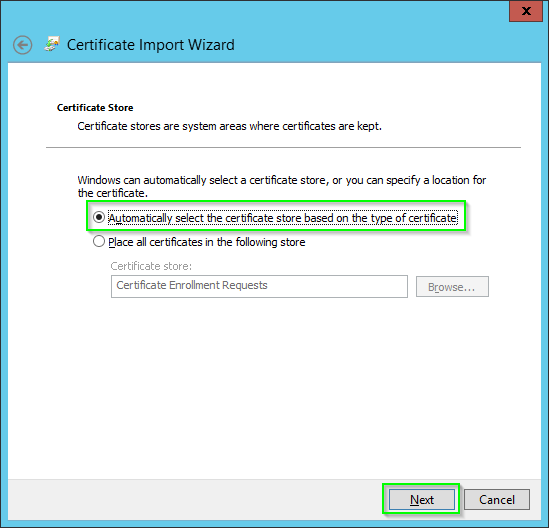 It doesn’t matter that both IIS and the client easily could locate the Intermediate certificate using the AIA attribute in the server certificate. Note that no changes needs to be made on clients and that the warning it not because the certificate is not trusted, it is that the client cannot find the intermediate CA certificate and therefore cannot identify what Root CA certificate to verify trust for. 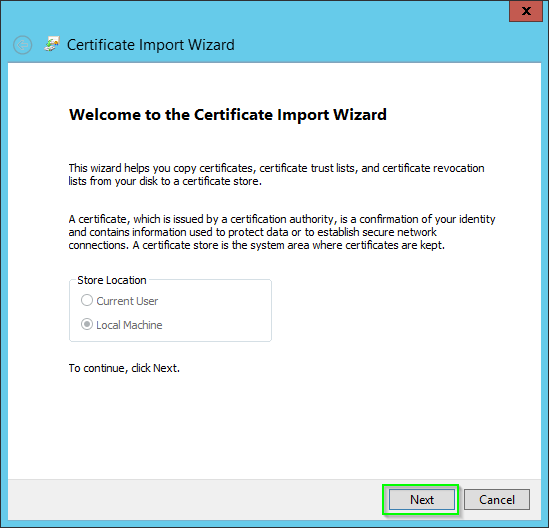 When it is added to the IIS and given to the client at the SSL handshake, the client “realize” that they trusted the server certificate all along. Phew, this became a much bigger blog post than I first imagined. I hope you found it useful! 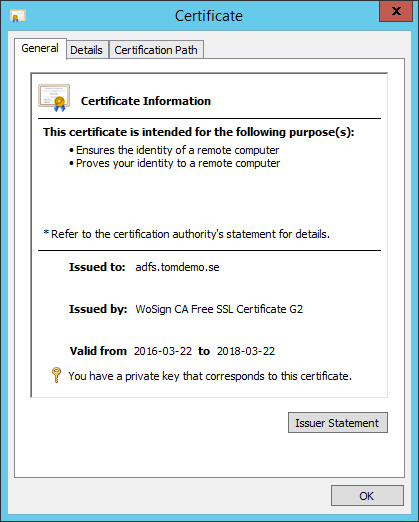 Some services has issues with the certificate, such as TMG (says Incorrect Key Type) and Exchange OWA (you are returned to the login page when logging in). 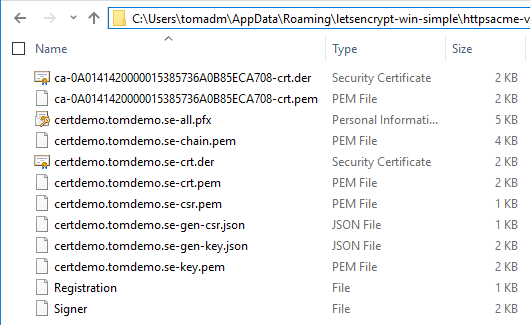 Assuming that you made the private key exportable in the first place you can solve this by exporting the certificate and it’s private key to a pfx, import that pfx into Firefox’s certificate store and then do a backup of that certificate in Firefox. 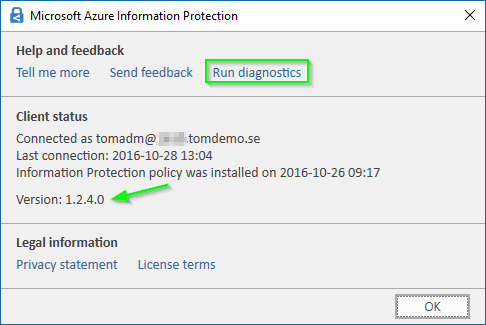 This will create a new pfx, that when imported will work with TMG and Exchange OWA.